Koei Tecmo America is getting ready for Atelier Sophie’s release in North America, the first game in the Atelier series to make its debut on the PlayStation 4. 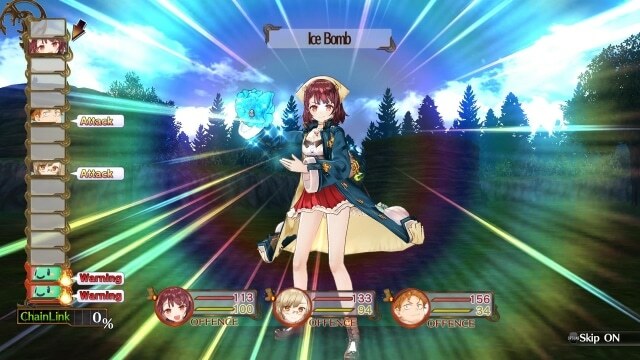 Atelier Sophie will feature a more in-depth time and weather system which affects which monsters will appear, as well as what materials will be available for gathering. There will also be a fatigue system in place, your characters will get tired if you work them too hard going out on missions and spending too long out in the field before resting. The full details of this system can be found after the break in Koei Tecmo’s press release. BURLINGAME, Calif.—April 14, 2016—KOEI TECMO America today announced new gameplay features and detailed pre-order bonus information for GUST’s upcoming RPG, Atelier Sophie: The Alchemist of the Mysterious Book. The game will bring the charm and magic of the long-running Atelier series to the PlayStation®4 computer entertainment system for the first time on June 7, 2016, with a simultaneous digital-only release for the PlayStation®Vita handheld system. For more information on Atelier Sophie: The Alchemist of the Mysterious Book, Like KOEI TECMO America on Facebook at www.facebook.com/koeitecmous, and become part of the #KTfamily by following KOEI TECMO America on Twitter at @KoeiTecmoUS. This title has been rated “T for Teen” by the ESRB. If you’d like to pre-order Atelier Sophie for PlayStation 4 and help support Operation Rainfall at the same time, you can use our Amazon affiliate link below. You can also purchase a Limited Edition of Atelier Sophie from NIS America from their store here.